If you ask me, Facebook just functioned as a search engine for David D. in Houston Texas. I think this is the first one I have lol at in months. I like David, can I keep him? I’m almost positive this is my uncle and cousin. To much of a coincidence for it not to be. Smh. agreed, this is one of the best from lamebook haha!! David, I now pronounce you as my new apprentice. You know when your dad used to tell you to get up and bring him the remote/change the channel, you’d argue, but finally give in and do it? This is the Facebook version. 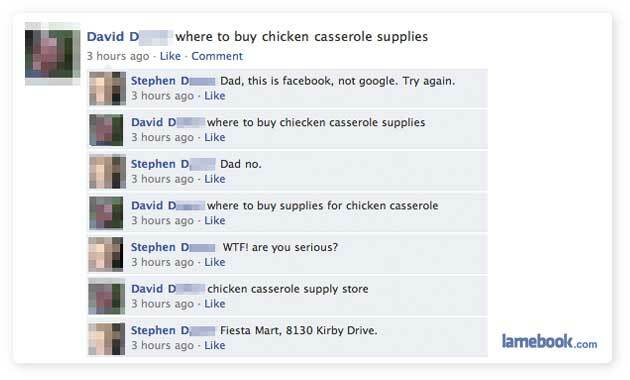 That Fiesta Mart is totally ghetto.. gotta like since its the first Lamebook post i’ve seen for the Houston area!